The other day while walking around Ginza, I noticed the most elegant kimono shop around the corner from my hotel. It must have been my lucky day because the store was full of stunning women who were attending an event with a local designer. The store, Ginza Motoji, specializes in traditional kimonos with a focus on high fashion and design. I loved watching how the store’s staff interacted with their clientele. This woman had just purchased a beautiful pink coat. Upon her exit from the store, a young man ran after her to fix a small thread that was hanging from the sleeve. 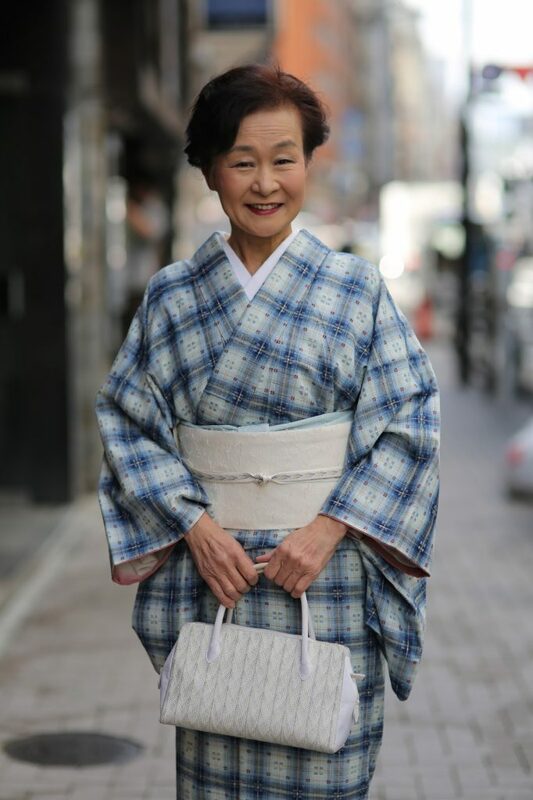 It’s been fascinating to see how Japanese women choose and accessorize their kimonos for everyday wear. I can’t wait to see what I find when I hit the streets tomorrow!